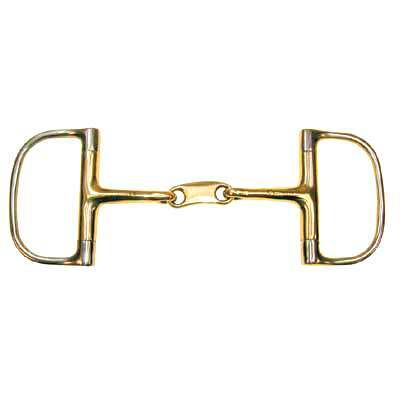 This Cyprium Dee Ring Snaffle Bit is made of only exceptional quality materials and has a Bean Link. When buying a Cyprium Horse Bit or a Cyprium Dee Ring Snaffle from us rest assured you are getting a great product at unbeatable pricing. The Cyprium Dee Ring Snaffle Bit with Bean Link is made of Cyprium. Cyprium is made out of 90% copper, 8% to 12% aluminum and 3% iron. The mouth is 10mm on this Cyprium Horse Bit. So get yourself a nice set of Cyprium Horse Bits today. When buying from us you can rest assured you will be purchasing a great product.